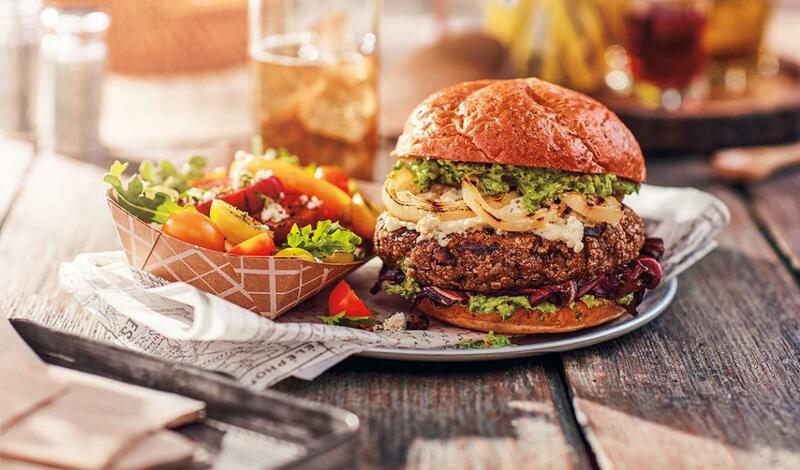 Grill burger patties to a minimum internal temperature of 160°F and top with herbed Boursin cheese. Spread Zesty Pesto Mayo on both sides of the bun. Build burgers with remaining ingredients.